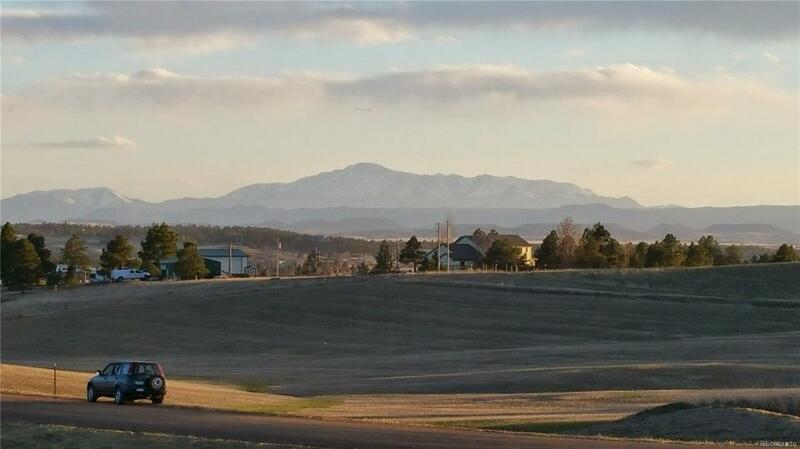 10.01 acres on quiet cul-de-sac with breathtaking Pike's Peak and southwestern mountain views. Easy access to Parker and Elizabeth on new county-maintained gravel road. Flat to gently sloping meadow, ready for your dream home with walkout basement and outbuildings! IREA electricity buried to home site. Black Hills natural gas and Century Link telephone in street. About 20 minutes to Parker and Castle Rock. Just over 30 minutes to Denver Tech Center. Mineral rights included. One site over from Douglas/Elbert county line in Elbert County for quicker build process, lower build fees and lower taxes. Builders available or bring your own. Many types of animals allowed. No build time limit. Offered by Gourmet Real Estate Inc.